Bill Hershey will sound brilliant, attention-grabbing trumpet fanfares using a piccolo trumpet at your wedding as well as any wedding-appropriate processional and recessional orchestrations of your choosing. 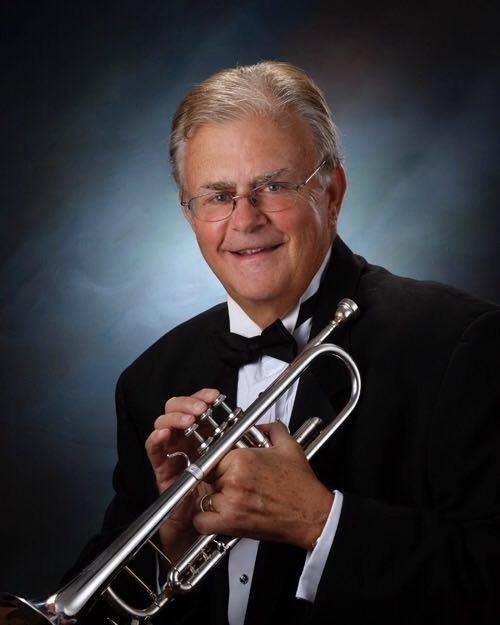 Bill is the principal trumpet with both the Saint Charles County Symphony Orchestra and the Town and Country Symphony Orchestra. Bill is also known around the Saint Louis area as the Live Taps Bugler. Bugle calls and trumpet fanfares can be an important part of many special events. Whether sounding a call for attention or announcement, sounding "To The Color" at a patriotic ceremony, playing "To The Post" at a racing event, playing the National Anthem, performing "Taps" at a funeral or memorial service, or sounding "The Last Post" at ceremonies, can provide this service to you. Earlier in his career, Bill was a professional, highly skilled Trumpeter with The United States Army Band (Pershing's Own) at Fort Myer, Virginia and sounded "Taps” at Arlington National Cemetery. At Jefferson Barracks National Cemetery, he has performed at Memorial Day and Veterans Day services in the Saint Louis area. He has sounded Taps at many funerals and church funeral services, and at Civil War related events.